Anni-Frid Synni Lyngstad (born 15 November 1945 in Bjørkåsen, Ballangen), widely known as Frida, is a Norwegian-born Swedish pop singer. 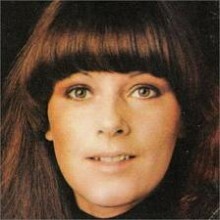 She was one of the four members of Swedish group ABBA. Born in Norway to a Norwegian mother and a German father, she grew up in Sweden, and has been a resident of Switzerland since 1986.